The two photos shown here are courtesy of Mike Harmon. They were made with his Nikon D300. After it was determined by a group of Crossings readers that the automobile that I featured in the An Unknown Automobile post was a replica, not an original, Mike Harmon, author of The Hashbrown Diaries, sent me the following email. The following authoritative comment was forwarded by Steve Marchionda of Penn Yan, NY. 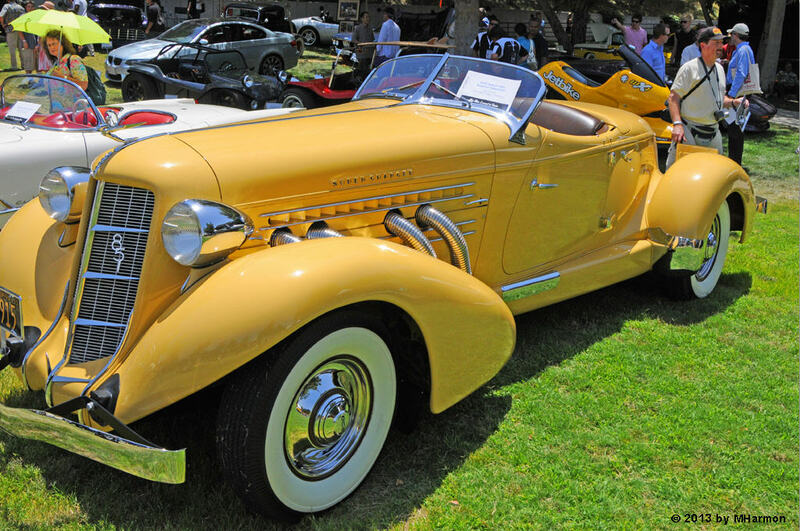 “Ray, it’s a 1935 Auburn 851 speedster. Can’t tell for sure from the photo if it’s a replicar or the genuine thing. The reason I say that is many of the replicars had the exhaust coming out of the right side of the hood, which the original had the exhaust coming out the left side (which you can’t see in the photo). “If it is (genuine), it’s a real rare car with a real interesting history. They only made about 600 of them over two years (35 & 36) then the company went under. It had a Lycoming straight 8 with a Cummins supercharger, putting out 155 hp. They ran 100 mph stock off the showroom floor, which for ’35 was fast. A few minutes later, another message arrived from Steve. that one is the genuine thing! 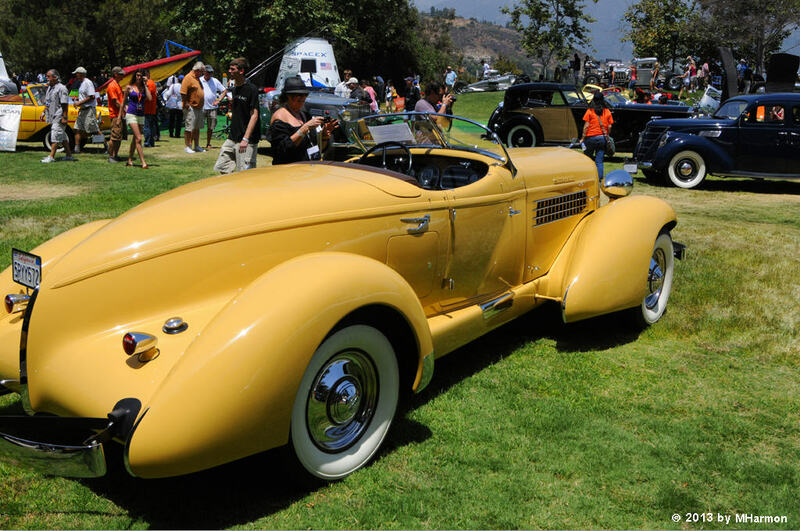 Great photo of a truly spectacular automobile… Another interesting point is the windshield on the Speedster was a custom made product by a guy named George Duvall. it was considered the finishing touch to a top notch automobile and several different brand expensive cars sported “duvall” windshields back then. The greasers building rat rods back then would occasionally find a Duvall windshield and they would put them on the roadsters of the time – that was a big deal. Even today, you will see them on a lot of Ford Roadsters 28-31 Model A’s and 32-24 Model B’s. Great photo Ray. Even of the black replicar. they are pretty machines! Thanks, Steve, but I can’t take credit for the photos – just for having photographer friends. The photos were made by Mike Harmon, author of The Hashbrown Diaries. MIke is one of the guys in my motorcycle riding group – there are several of us in the group who engage in photography. Yep. Looking at pre-war photos, it sometimes seems that the world was monochrome before WWII. This yellow would have been very flashy for the time, much like the standard Indian Red on Chiefs and Scouts.